One of the most important pieces of equipment in a kitchen is a good set of knives. It doesn't matter if you're a chef or a home cook, good knives are really important. It's so easy to have an accident with blunt knives. Blunt knives can struggle to cut through produce and can result in cut fingers. I know, it's happened to be before. 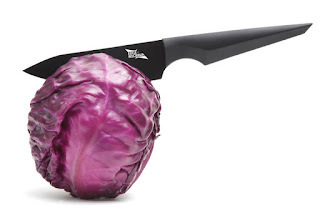 A good quality, sharp knife should cut through even the toughest vegetable without too much protest. I have the most fabulous giveaway for you. 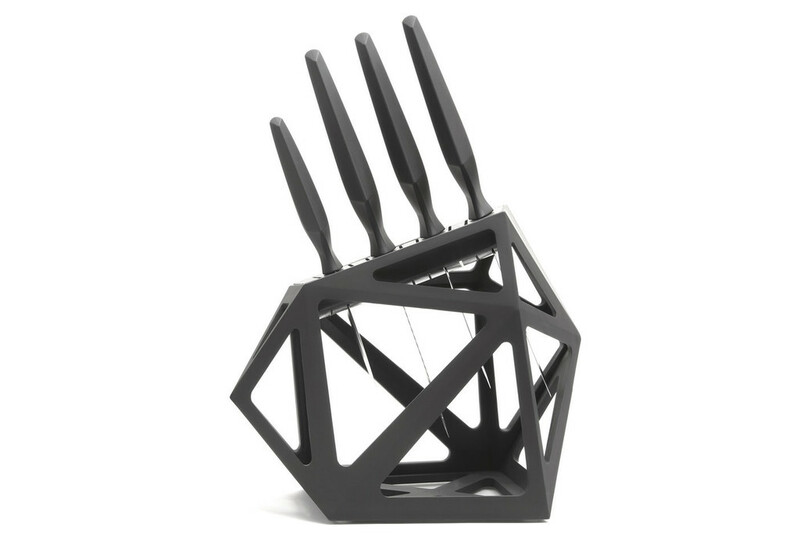 A designer knife block and precision knife set from Edge of Belgravia worth over £150. The Black Diamond angular float knife block is a piece of art for the kitchen. Christian Bird’s design is faithful to Edge of Belgravia’s avant-garde hallmark bringing together innovative design and supreme utility. Designed for maximum flexibility, Black Diamond is suitable for most knives – as long as the blade is thinner than four millimetres. Tightly packed, it can fit up to 11 knives with easy extraction. Probably the knife I use the most. It's a good all rounder for most of the chopping and slicing you do in the kitchen.The blade has Swiss Ilag non-stick coating to enable precision cooking. This is a great knife for slicing straight through fruit and salad in one clean cut. It gives a really crisp cut to peppers, carrots and courgettes for a professional looking salad in seconds. The Deba knife takes inspiration from the traditional Japanese salmon knives, usually called “Deba”. Just as the traditional Japanese Debas, the edge is ground only on one side for a clean cut. You must have a bread knife. No other knife cuts so neatly and efficiently through a fresh loaf of bread, baguette or a sandwich. The serrated blade ensures that the bread remains airy and is not squashed whilst cutting. This is a handy little knife for the small jobs in the kitchen. I use it mostly for peeling mushrooms and slicing tomatoes, but it's great for peeling a lemon, segmenting an orange cleanly, carefully removing the skin of a kiwi or slicing strawberries. Want to win this tremendous prize? Leave a comment telling me which of these is your favourite style of knife in the kitchen. Check out the extra entries. This giveaway closes on 31 October 2015 and is open to readers in the UK, 18 years and over. Disclosure: Edge of Belgravia sent me a knife block and set of knives to try and are offering another set for the winner. I was not expected to write a positive review and any opinions expressed are my own. Paring Knife - for veg ! chopping vegetables or at least trying to! I have a paring knife that really rocks - it's small enough to fit like a chef's knife in my little hands! The selection shown would provide a good solution for most jobs, and it is nice to have the choice. Perhaps the Bread Knife would be a good option. The small paring knife - so versatile. I definitely use the cheese knife the most! The Chef's Knife is probably the one I would use the most as I do tend to chop/slice a lot of fruit and vegetables and this is a good all-rounder as such. Fingers crossed as I have never owned a really decent set of knives, and as well as making life a lot easier and more pleasant, it might encourage me to tackle dishes I wouldn't otherwise attempt. I find the paring I've the most useful, but the bread knife is my fave- mmm lovely crusty ciabatta!!!! I use the bread knife most. If I had to choose just one knife, it'd be the chef's knife - especially for larger veges like pumpkin! The Small Paring Knife - lots of chopping up fruit & small veg. My knives are terrible, I have lots of squash at the moment and have to soften them before cutting. A good knife that actually cuts, far to many cheap blunt one's in my kitchen that won't ever get through a tomato! My small vegetable knife - I use it every single day. I use a small serrated vegetable knife which copes with most foods but a knife set would be helpful for large, trickier-to-cut food. Like most people I use a paring knife for fruit, vet and salad. My favourite is a paring knife, so small and handy to use! We aren't allowed them in my kitchen at work and I miss them sooooo much! I love the paring knife, so small and handy to use! We're not allowed them in my kitchen at work and I miss them soooooo much! Especially when coring apples! I think its a paring knife - I use it for most things whilst preparing food. 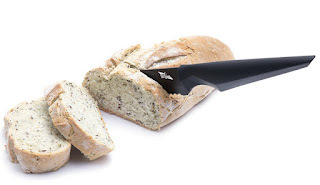 I love the bread knife, I use a bread knife all the time in the kitchen - have to say they all look fabulous though! I do like a good paring knife - most of my chopping is of small veggies and a precise one is a blessing! i think the Small paring knife, i like a small knife to do my cutting. My little sharp vegetable knife. The small paring knife for sure. Fantastic opportunity to win. Thank you so much! I looooove a good pairing knife. You can do so much with it! My only decent knife serves me for all kitchen jobs, a paring knife I've had for over 10 years! I confess to cutting most things with a small paring knife. Although when crafting space ships out of cardboard boxes I find a bread-knife very useful. the little one for those little jobs, that'd be the paring knife wouldn't it lol! names are not my strong point!! The paring knife. I use it for almost everything, except swede which basically needs a chainsaw! I use a paring knife and a small chopping knife. The Deba knife is what I would probably use most often! They are all great! I use my little paring knife the most. Thanks for the lovely giveaway. I use a large flat-bladed knife - my paring knife disappeared after a party a few years ago and so it's the next best thing! I use my really helpful small paring knife- I've had it for ages but it's still sharp! Chef's knife for most things - dont have many knives at home. My chefs knife is the go to knife, If it's sharp it will do almost any job. Deba knife, great for my salads. My small paring knife! 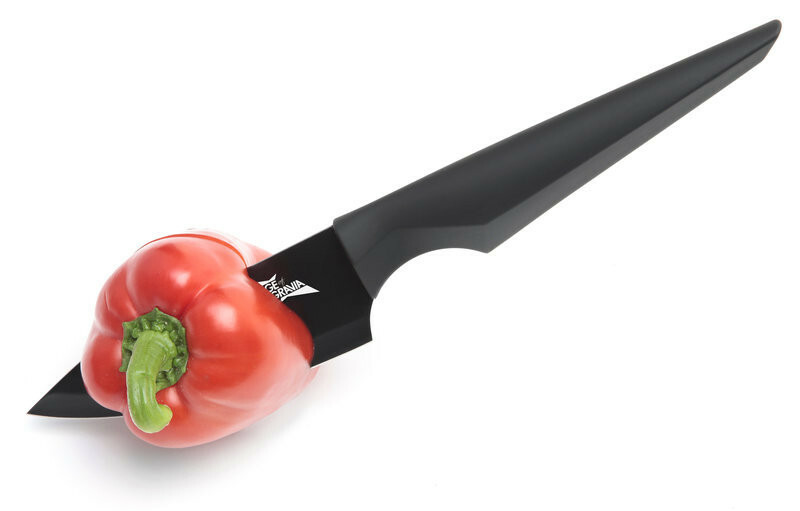 great for chopping up fruit & small veggies. The bread knife, I use it for all sorts of things as well as bread. I don't actually own a Deba Knife, but I absolutely need one! That's what I chop the most, and it would be fab. A small, sharp veg knife as we eat lots of veggies every day! I use the Chef's knife most! We have a small knife of unknown origin that I use constantly for cutting and cooking. My paring knife, I'm not sure if I ever actually put it down. I even took it on holiday with us. I mainly use a ceramic paring knife.